Arabian Nights video slot is an imaginative slot machine that whisks you away to the enchanted lands of Arabia. 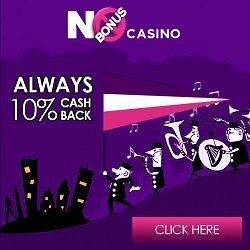 This online casino slot boasts 5 reels and 10 bet lines, with the chance of winning the free bonus spins when the reels stop on three or more scatter symbols. The setting is reminiscent of the popular movie Aladdin. The story of a young Arab boy and his meeting with the Genie from the lamp. The whole theme revolves around this, with the camels, tents, jewels and magic lamps. This video slot has a super jackpot prize to be won, the jackpot is a progressive jackpot for this online casino video slot. Every time you spin the reels of Arabian Nights video slot a small percentage of the bet will be added to the jackpot win. This means the more the game is played the higher the pot becomes. All this is played while the Arabian themed music plays along in the background, making it so real you almost begin to feel like you are in the Arabian market place! This wonderful slot from NetEnt also has the free spins which are initialized when three or more scatter symbols, which are represented by the magical genie lamp in this game, appear in any random order on the reels. Everything won whilst the free spins are active will be tripled. A multiplier is also in effect during this time, and payouts are paid accordingly. Wild symbols in this game are brought to life by the Arabian Prince symbol, this cheeky chappy will substitute any other symbol on the video slot reels, with the exception of the scatter symbols. With 5 wild symbols the jackpot prize is won, theses 5 wild symbols must be in a bet line in order to be valid. With fantastic graphics and sound effects this video slot Arabian Nights is at the forefront of the online casino world. This is a video slot not to be missed by the slot lovers and slot virgins alike with its free spins and progressive jackpots this is truly one of a kind. Good Luck.